Very nice! but what if a users start to abuse the Rude! button and reports a large numbers of posts from the same user? Is there a limit of how many rude reports can someone submit in a day? Maybe implement a “rude validity” rule, X amount of rude reports to score a rude point? About the possibility of somebody with a grudge, yes, I thought about that too. I could add some checks against that, but I really don’t think it’s necessary, because (1) the hits aren’t permanent, and (2) at least you’ll know that somebody has a grudge against you. And I guess (3) would be that expressing a grudge via the Rudeness Level meter is less bad than expressing it in writing on the public forum. A brilliant and great idea sb. One question, should we use this going forward, or go back and mark rude posts that have occurred recently? Thanks cabfrank. I’d say any post is subject to scrutiny. It’s not necessary to go through old posts with the purpose of marking the rude ones, but if you run across one by all means hit it. Sounds good, thanks. I think some have probably been edited anyway. I hope this is successful, and returns our great forum to the way you, and most of us want it. My pleasure, and thanks for the suggestion related to this feature that you made in another thread. This seems like a silly and unnecessary addition to the site. I don’t notice much rudeness on this site. Have you read the Cometa threads? Nice. Will be interesting to see how it works out. Why do I now have the urge to see my rude level hit 100/10? How many rude reports does it take to ghost a post? As you wish. By the way, once a few people mark your comment rude, it gets hidden. That’s not an easy way to reach 100. And besides, crazy is my middle name. If enough people mark a comment as rude, and the comment disappears, what happens if the rude comment was comment #1? Does the entire post disappear? 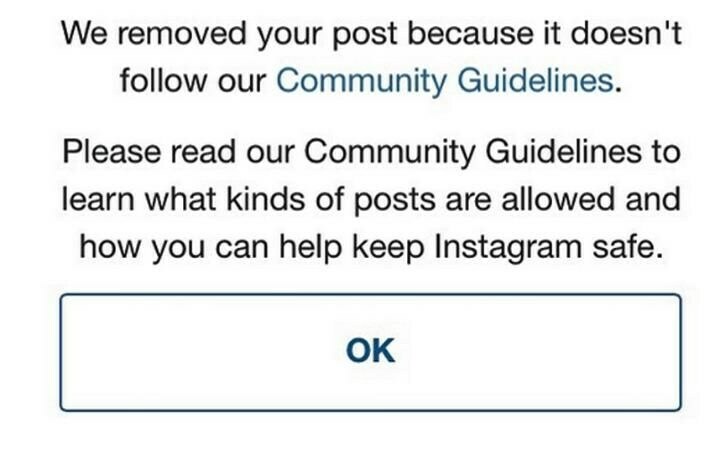 Will there be any indication that a post was removed, something like? The atmosphere was so toxic lately i though about giving up on BLF (wich comprises of 99.999% fantastic people), i’m probably not alone, this is a very welcomed and smart solution in the spirit of BLF, thanks SB. Now if we just had a way to mark someone’s behavior as rude when they pull a kreisler. Doesn’t seem like it’s an issue though. I haven’t noticed that happening since he left. 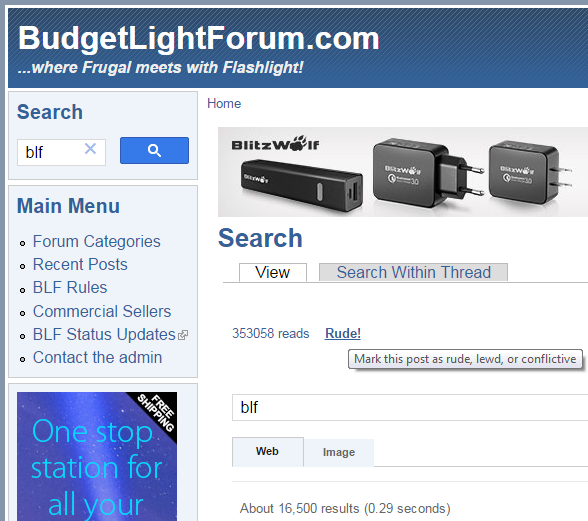 I did a BLF search, and I had the opportunity to mark the results as rude, lewd, or conflictive! Why is the quote button missing from the OP? Or has it never been there? As far as rudeness giving you severe headaches sb, l can you send pills not available over the counter that will fix this as well as other problems with no problem. Cheap to. As a professional that works in mental health I see general increase in emotional immaturity and poor communication skills among certain groups of people. I have my theories about the cause but no hard data. It seems that the increase in communication methods (i.e social media) has led the a poor ability to communicate with people in real time and desensitization regarding their actions towards others. Also, please remember that BLF is not Reddit or Slashshot, and I don’t want it to turn into that either. So please do not use the Rude! button just because you don’t like or don’t agree with the post or the poster. 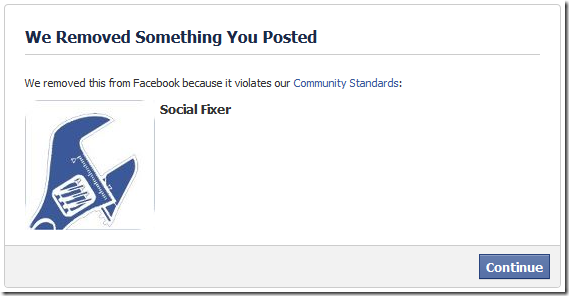 It is intended exclusively for use on rude, lewd, or conflictive posts. Very interesting, marsalla. Doesn’t surprise me either, given the way that society in general is turning. So I’m glad to see a lot of people here that are trying to buck the trend. Regarding the button on the search results, thanks for letting me know, it should be fixed now. About the quote button, yes, unfortunately it went MIA during the site upgrade, and I can’t figure out how to get it back. Sorry! As for the possibility of a rude original post getting marked many times as rude and being removed, yes, it could happen, although I set higher limits for an original post. But this goes back to what I mentioned earlier about not responding in any way, shape, or form to inappropriate or rude content. Of course, everybody’s opinion of what’s rude and what’s not is different. But if enough people mark an OP as rude and it gets removed, it’s a pretty sure bet that the OP was out of line, and therefore any follow-up comments would also be promoting something that is bad for BLF.